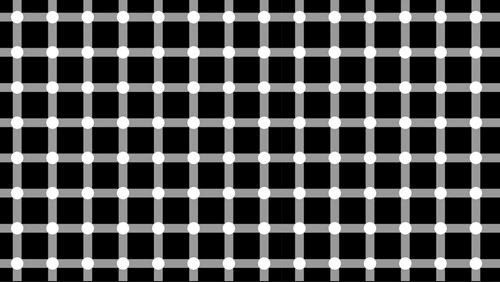 Can you see dots when you look at this grid? The forex grid trading strategy is something that every beginning trader should learn, since it is easy to grasp and master, while being able to quickly accumulate profits. The way the strategy works is simple: you simply choose a currency and determine a base price. Then, you will place buy and sell orders above and below this predetermined price. Once you have an order that has generated a positive gain, you will close it. To illustrate, let’s say you choose the euro and the pair EUR/USD. Your base price is 1.1200 and you place a buy and a sell order. The price moves to 1.1300. Your buy order nets you 100 pips while your sell order costs you 100 pips. You close your buy order and bank the 100 pips but keep the sell order open. At this level, we open a new buy and sell order and the price goes down to 1.1200 again. Now the opposite happens and the sell order nets you 100 pips and the buy costs you 100 pips. Now at this point you close all your open orders. You earned 200 pips but lost 100 pips, thus you have a net gain of 100 pips in your account. This may seem confusing so study it carefully for a while until you are sure you understand it. Better yet, open a demo account with your forex trader and then try out the strategy for yourself until you have mastered it. Choose trading pairs that have a lot of price volatility. This means major pairs such as the USD/JPY, EUR/USD or any pair that has the US dollar as one of the components. In addition, to ensure your profitability, make sure they trade on low spreads. Determine the size of your grid. Grid size is determined by the number of trades you make, and the payout amount that you want. The recommended size of the grid is around 20 to 30 trades big for short-term traders. For longer-term trades, however, you can go to as low as 10 to 15 trades. Determine the interval size. Generally, the recommendation is for a size of 10 pips to 20 pips but you should study not only the currency pair you’ve chosen but also the spread to determine the optimal interval size. How about using some kind of arbitrage technique? So as well as picking a volatile pair you’d also try to have another pair or two working to build equity while you were locking profit in from the first pair. EUR/GBP. All with the same pip-gap and lot-size. Still toying with this idea. One of the problems is that the spread kills this approach. If it were not for the spread this would be a perfect hedge.